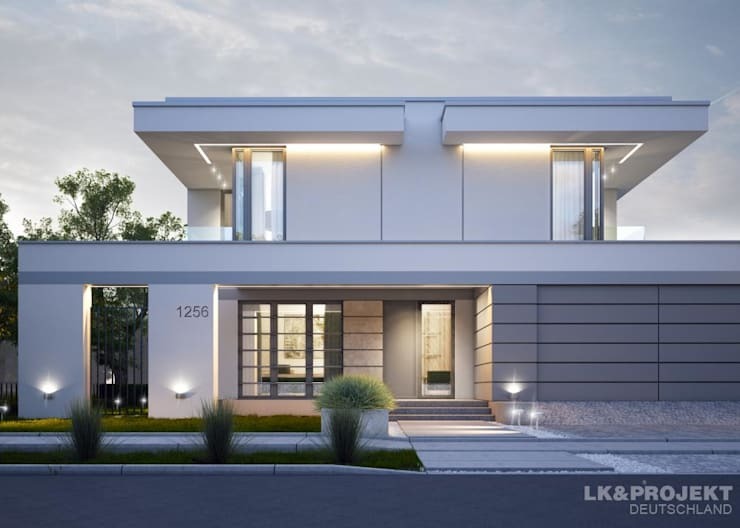 In all of our ideabooks, we emphasize on the fact that every house can be made to look unique by opting for the right kind of design. One of the most important aspects of the design is a significant entrance area which captures every visitor's attention immediately. Apart from this, the main entrance should also be able to reveal a particular personality trait about the owner of the house. Whether it is a cozy country style home or something a bit more exotic you can choose a design that suits your requirement and lifestyle. 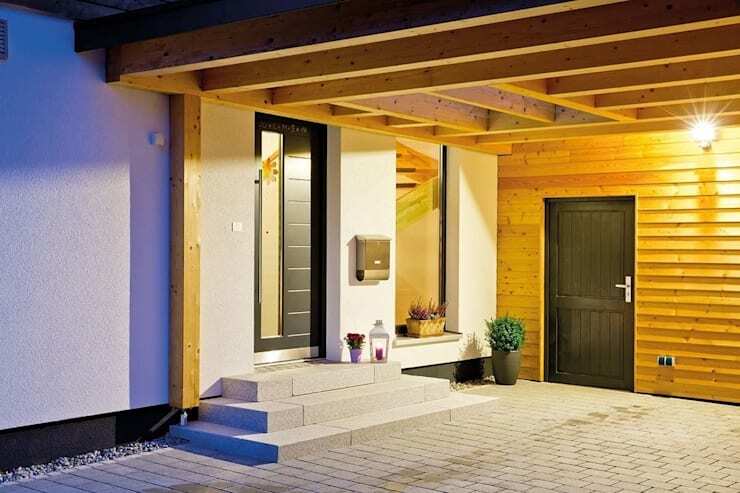 To help you select the perfect entrance facade layout here are 19 ideas that we have put together. 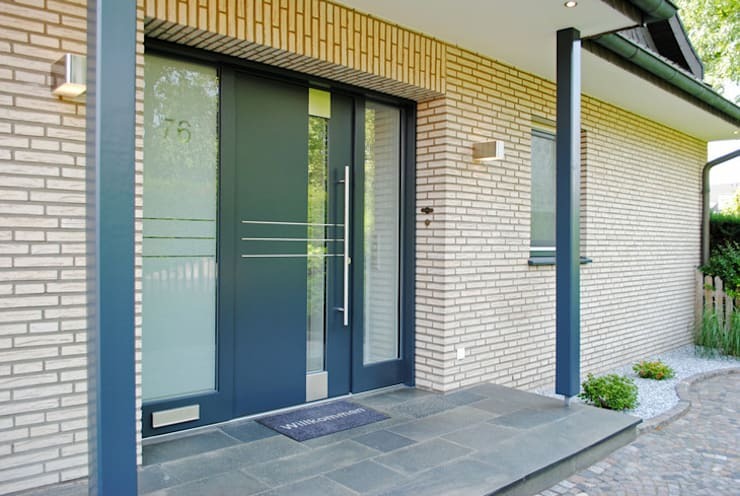 A stainless steel accent on your entrance door will attract a lot of attention. 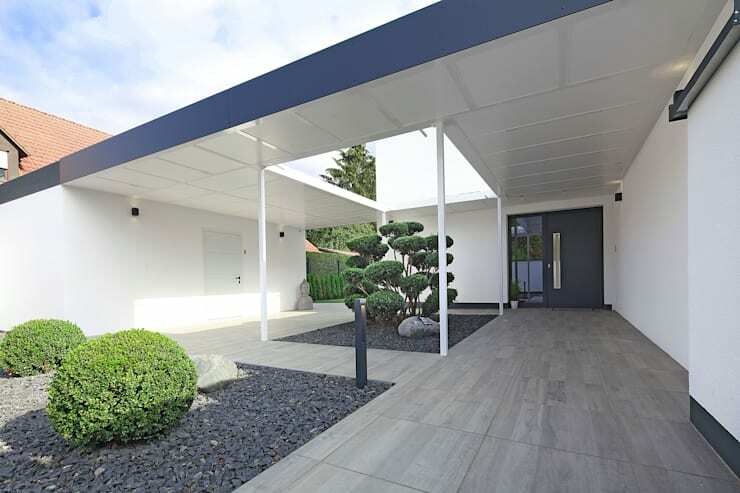 By using two opposing materials, this home entrance canopy was given a modern design. 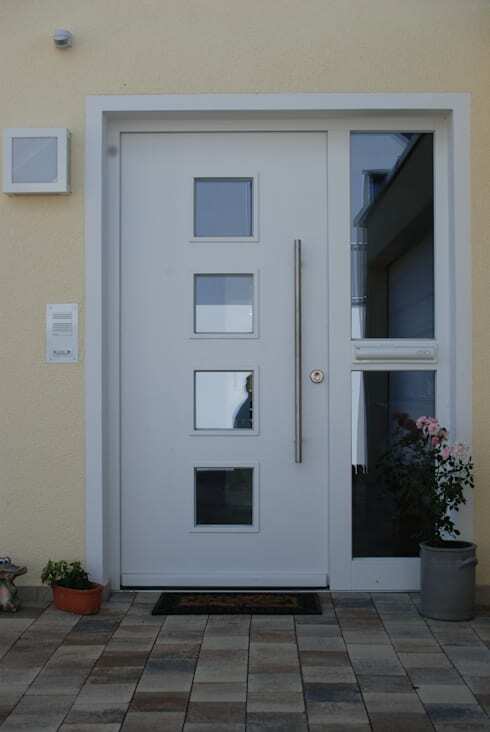 This incomparable steing entrance is also easy to maintain making it the perfect choice. One can also arrange the house sideways. This not only looks more mysterious but also makes the house stand out from the crowd. 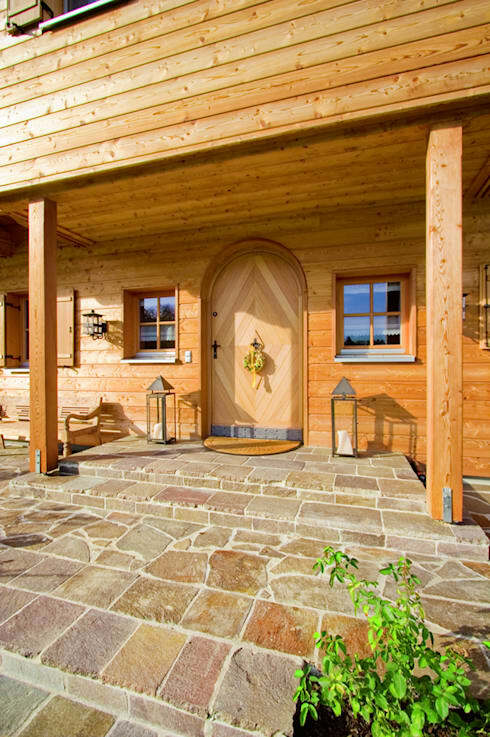 A classic country style house has decorative engraving on their wooden doors. A generous canopy can make the entrance area a place where you can also stay a little longer. White and black is a classic combination that always works. The more intense the colour black the higher the impression. 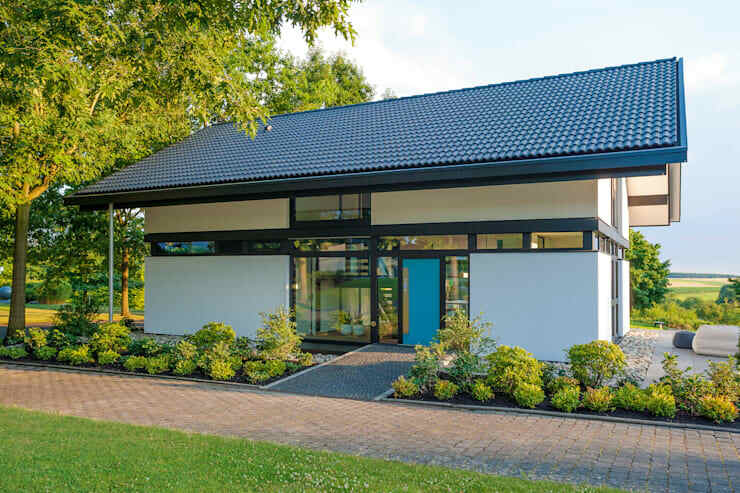 A saddle roof is like the icing on a cake. It also includes additional weather protection. 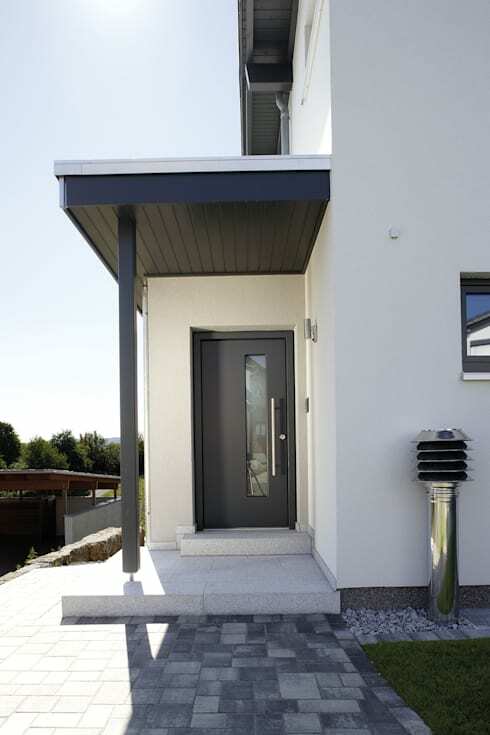 You can also try something new by using gray or silver entrance doors. It hardly has any neighbours. 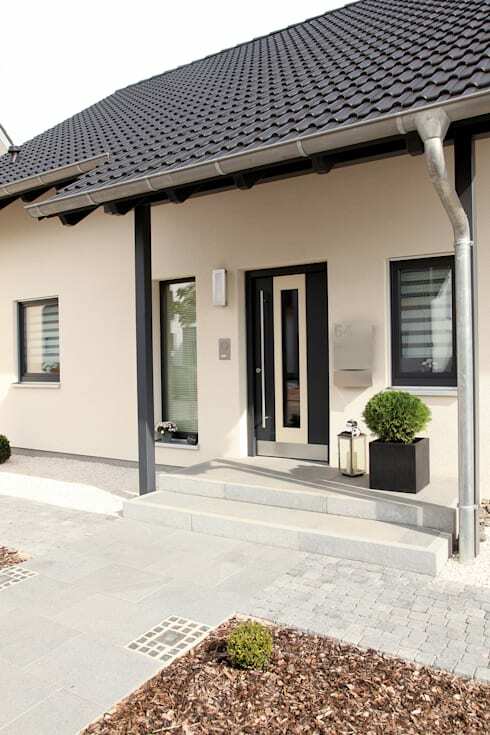 White doorways are best suited for pastel colour facades. 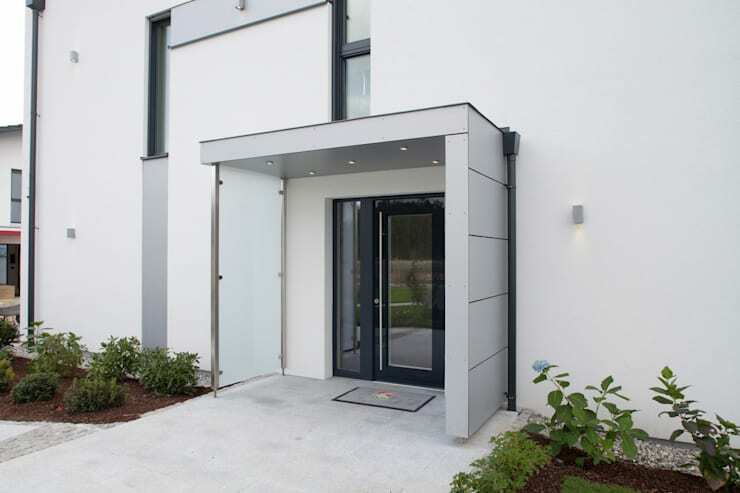 Modern doors can be used for giving small insights into the house. Powerful blue is a perfect match for warm wood tones and it also provides a small surprise effect. By using milk glass in various thicknesses the interchange of transparency and opaqueness takes place at this designer door. 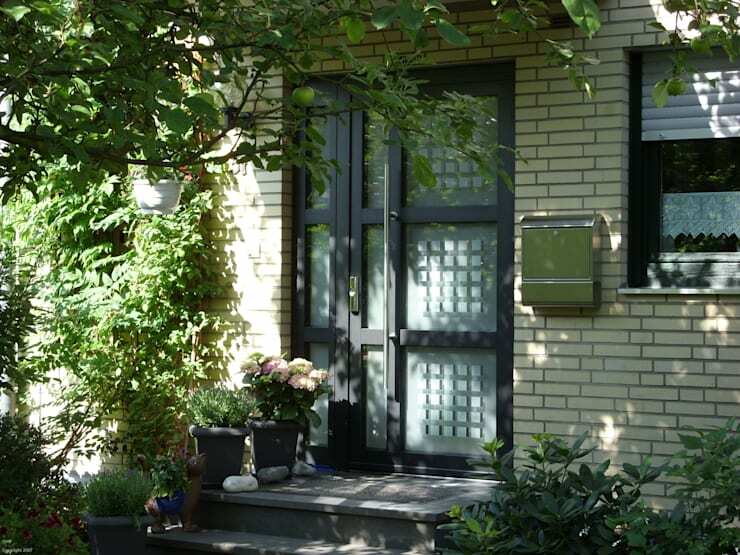 There is already some courage to a front door where one half is completely glazed. 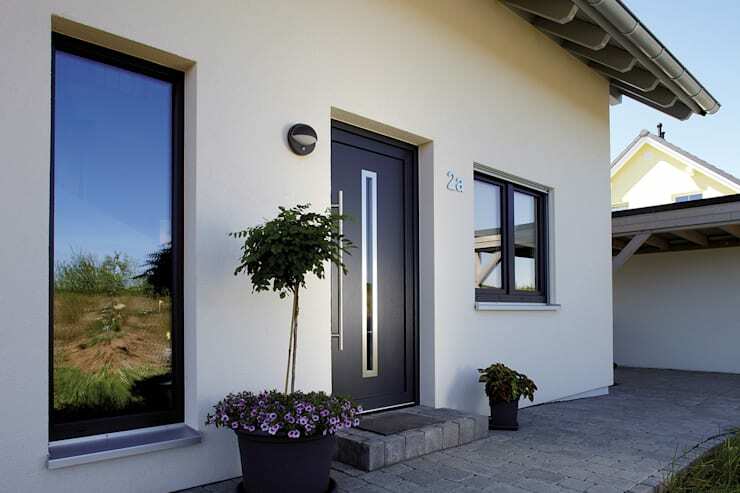 Modern house entrances are frequently glazed and by adding a colourful door a more exciting effect can be achieved. 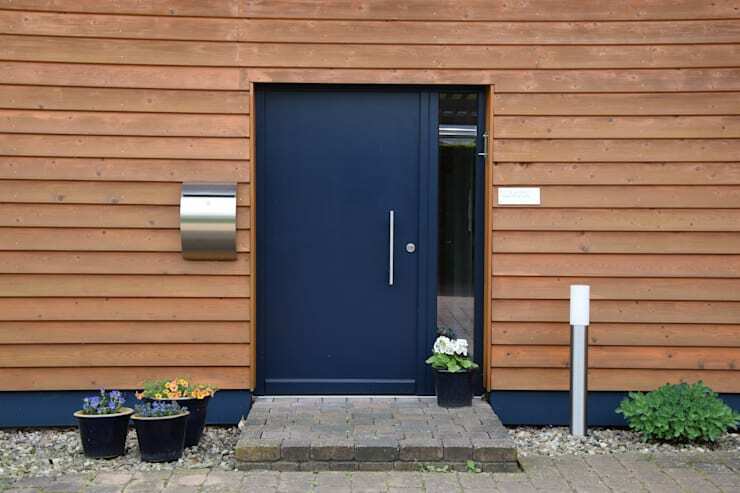 This traditional clinker facade gets a modern touch with the dark blue to anthracite colour door without the contrast being too strong. 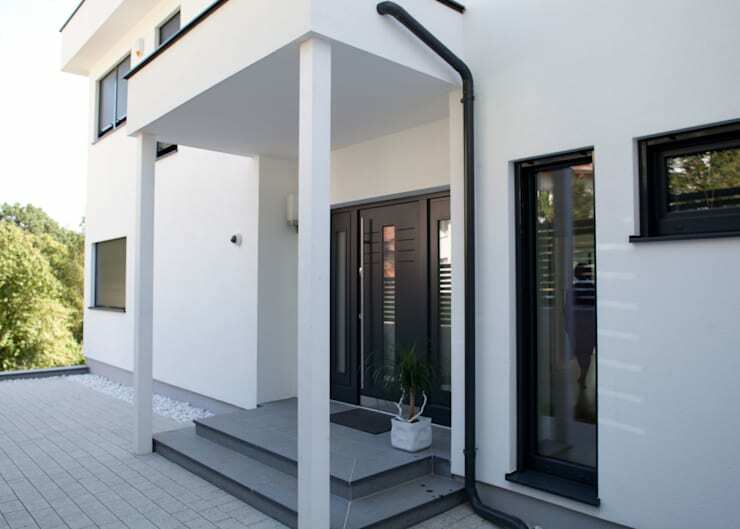 If the entrance area between the garage and the building is well planned then a beautiful foyer house can be created. This also looks particularly homely. 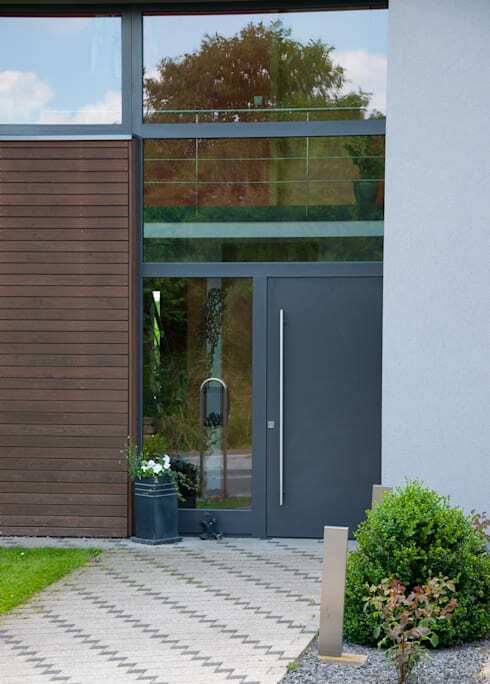 Typically the colour of the entrance area should match the facade as it fits in harmoniously and inconspicuously. It is worthwhile to deviate from the usual symmetry and set colour contrasts sometime. 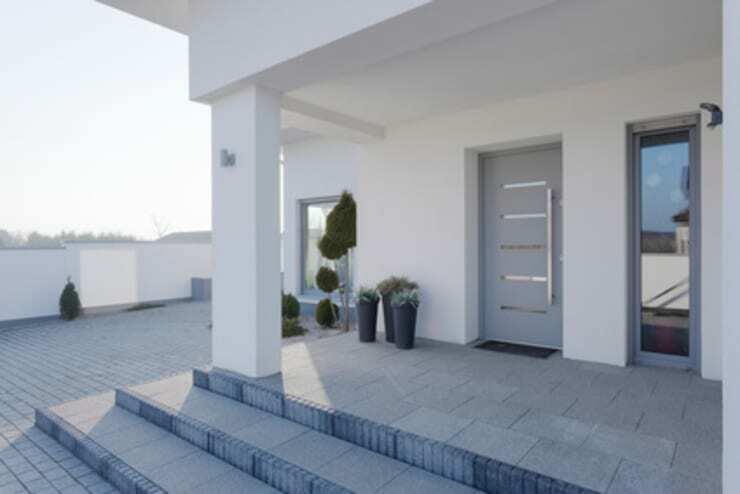 These beautiful house entrances also look more dramatic. 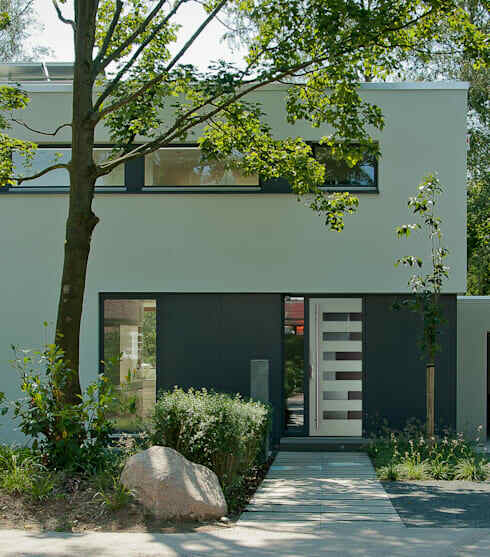 Which one of these facades is your favourite?